One of the most common and most debilitating myths about youth ministry might just be the all-too-common belief in the Easy Button. In our work with over 350 churches, our team at Ministry Architects has seen too many churches take an Easy Button approach to building their youth ministries, only to discover too late that short-term sizzle seldom results in sustainable success. There are clear practices in youth ministry that do work and work with dependable consistency. But few, if any, of them are easy. It’s time to acknowledge that our culture has dramatically under­ invested in the creation of nurturing structures for its young and that churches have been among the slowest to invest. A quick survey of the landscape of youth ministry reveals one disappointingly consistent result of underinvestment: youth ministry is undeniably in trouble. More than half of adolescents who attend church as children leave the church before they reach age seventeen. When we work with churches, the one issue that upsets people the most is the cost and how long it takes to get a sustainable youth ministry up and running. Most churches want their youth ministry fixed fast and cheap. Though we can usually stop the bleeding quickly, restoring the “body” back to health takes a much longer time. Churches build buildings because the cost is clear; architects can give a good estimate of what it will take. But churches have a much harder time determining what it costs to build a sustainable youth ministry. Often, churches are frustrated by the chronic “underperformance” of their youth workers. Balls are getting dropped. Parents are frustrated by the lack of information they receive. The senior pastor is tired of the youth ministry being the hot button in the church. But often the apparent “failure” of the youth ministry is caused less by an underperforming youth worker than by churches neglecting the fundamental question of whether their performance expectations are even reasonable. In short, they ignore the question of capacity. We’ve discovered some fairly consistent “normals” for understanding capacity in youth ministry. l. One thousand to 1,500 dollars a kid. The most controversial of all the normals, this norm suggests that a church that expects to have 100 youth involved weekly needs to have a budget in the neighborhood of $100,000, including the program, salaries, and benefits. It’s not likely that the youth ministry will increase the number of youth participating without an increase in funding. 2. One full-time staff person for every fifty youth. A church that hopes to sustain the involvement of fifty youth weekly needs to hire the full-time equivalent of one staff person. When a church hires just enough staff to barely maintain the program they have and then expects quantum growth from the new hire, the understaffed youth ministry can be expected to remain mired in a climate of criticism, blaming, and burnout. 3. One adult for every five youth. A church seeking to build a youth ministry with twenty-five youth active weekly will need approximately five volunteers working weekly in the ministry. Conventional wisdom would suggest that if enough volunteers are in place, staff will be less necessary. But our experience is just the opposite. Without sufficient staff to coordinate, inspire, and equip volunteers, the volunteers easily become stuck in competing priorities and programs that eventually erode the long-term sustainability of the ministry. There are, of course, a few exceptions to these norms. Churches that have youth groups roughly the size of Jesus’ youth group (twelve or so) can typically do youth ministry much less expensively. 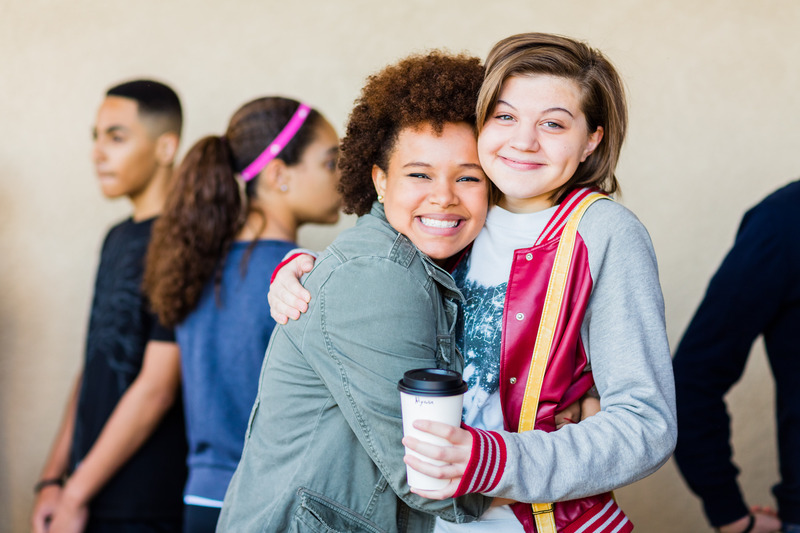 Youth groups in towns with only one junior high and high school sometimes find it possible to attract larger numbers of students than the norms might predict. At times the various norms can inversely impact each other. For example, one church may not have a $1,000-a-kid budget, but its high staff and volunteer ratios can balance out its lack in financial investment. Another church might have almost no volunteers but makes up for the lack by high levels of investment in staff. The extraordinary news is that the doomsday predictions are wrong. The epidemic of lament surrounding youth ministry, though a welcome wake-up call, may actually be misguided. Churches that move beyond gambling and choose to invest strategically,with an eye to the long-term investment, are seeing delightful and dramatic returns. This article is adapted from Sustainable Youth Ministry by Mark DeVries. Copyright © 2008 by Mark DeVries. Used by permission of InterVarsity Press, PO Box 1400, Downers Grove, IL 60515, www.ivpress.com. The book is also available from Amazon and Cokesbury. Mark DeVries is founder and President of Ministry Architects, a coaching firm that works with church leaders and youth and children’s ministers. He is a co-founder of Ministry Incubators, whose goal is to "turn hare-brained ministry ideas into sustainable impact enterprises with a theological mission." He is the author of several books.